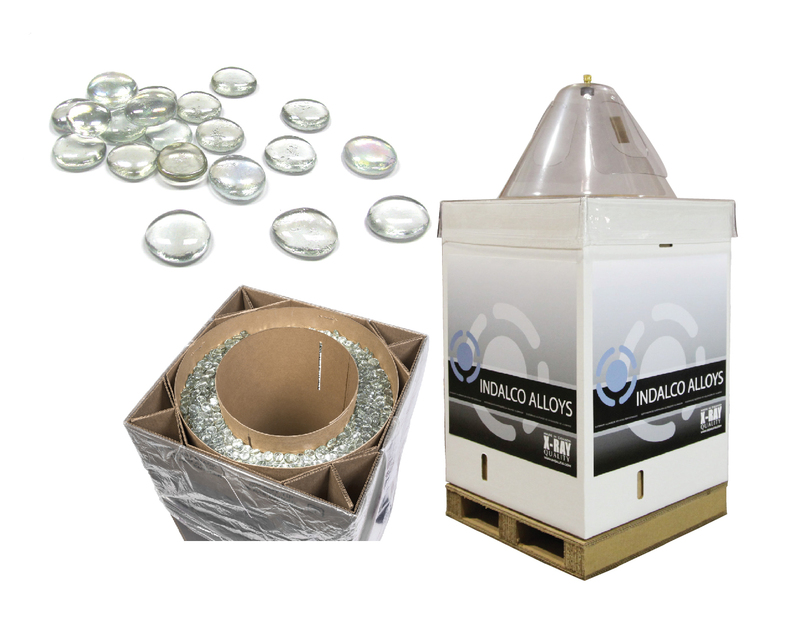 Indalco®’s patented Gem-Pak™ is a bulk packaging system designed to increase production without using expensive external payoff devices. This engineered system creates a controlled feed system unlike any other aluminum bulk packaging system in the industry. Tangle Free – Prevents tangling and improves feedability. Easy to Set-up – No external payoff devices required. Require only K2175-2 hood kit. Corrugated Cardboard Pallet – Fork-lift ready mini-pallet comes attached to the box for maximum portability and is 100% recycable.